From the shadowy coffin of Dracula to the high school hero Buffy the Vampire Slayer to the love story of Edward and Bella of Twilight fame, vampires have fascinated humans for centuries. 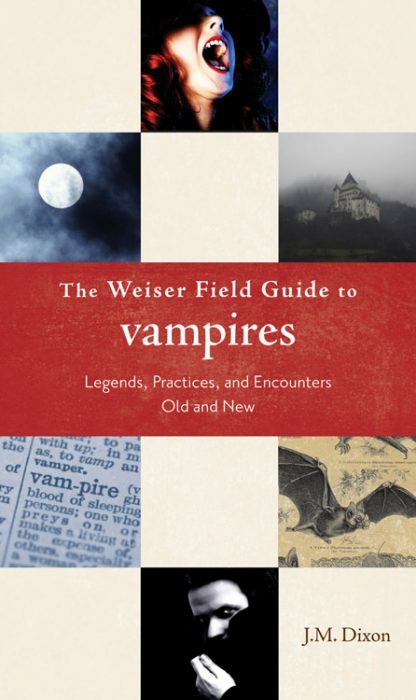 The Weiser Field Guide to Vampires provides a handbook not only to mythical and historical legends, but also to the modern vampire, their community, and the science behind modern vampire feeding. Learn how to recognize a true vampire, their strengths and weaknesses, and how to tell if you are a vampire. Includes a glossary of who's who in the vampire world and top vampire terms. The Hunger: As the spirit begins to starve, a vampire gets his first taste of what it truly is to Hunger. At first, the Hunger feels like any other craving for sustenance. Like a deep want of food or water, the ravenous need comes on slowly and builds in strength over several years, and much like in his childhood, the young vampire will attempt to eat and drink to fill the need, but nothing will help. Just as was depicted in the cult classic movie by the same name, no human food can relieve the Hunger. * The Weiser Field Guide to Vampires includes occult and cult aspects from an insider's perspective.